A very interesting region in Dorado near the Large Magellanic Cloud (LMC). The Seagull Nebula is comprised of several objects including NGC2035, NGC 2029 and NGC 2032. It is not the same as IC2177, apparently also referred to as the Seagull Nebula in the northern hemisphere. 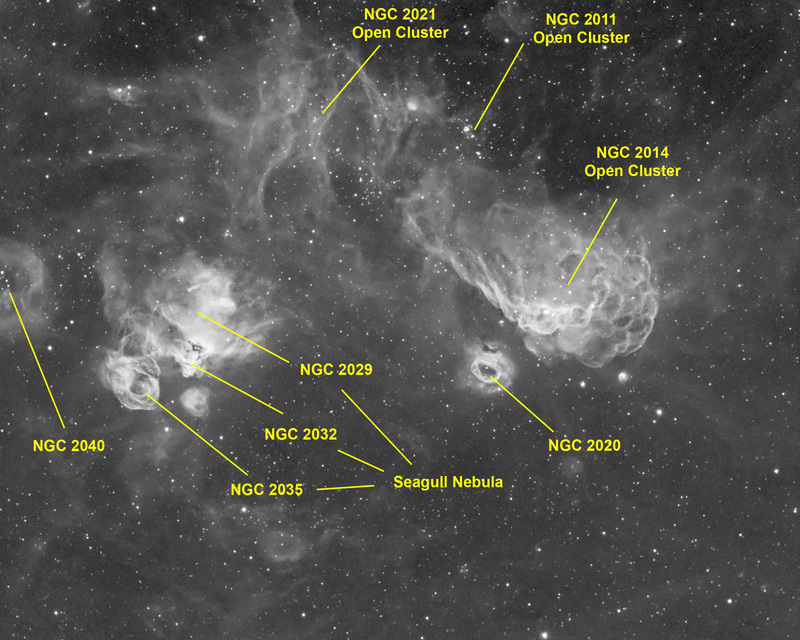 NGC 2020 is the small, oblong "hole" toward the right. 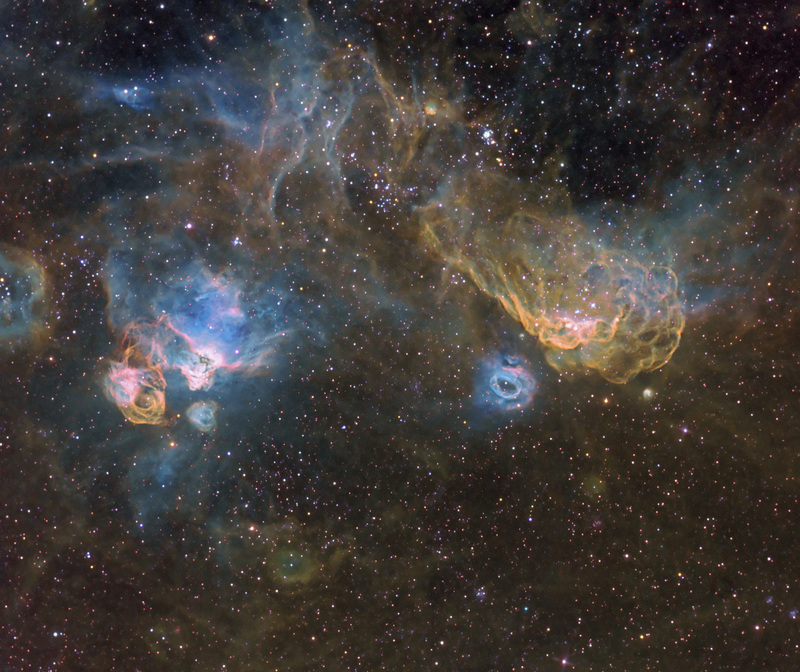 The bulbous structure to the right of NGC2020, whose tendrils appear like a supernova remnant, is apparently not designated. North is toward the upper left and the horizontal scale is 41′.